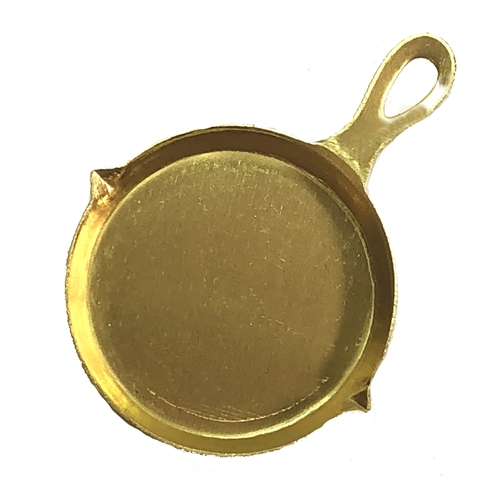 Frying Pan brass stamping, dimensional unplated brass embellishment or charm. Perfect for a piece for the chef in your life! Measures 28 x 24. Sold by the piece.